PHOENIX, Arizona – Residents have begun enjoying an unmatched urban lifestyle with a full range of luxury amenities at Optima Kierland’s high-rise condominium tower in North Scottsdale. Optima Kierland—a leader in Phoenix’s fast-growing real estate market—has sold more than 80 percent of its residences at 7120 East Kierland Boulevard. Select one-, two, and three-bedroom residences remain for owners seeking an urban lifestyle with luxury amenities in an idyllic location. Prospective residents have limited time left to choose new homes priced from the mid $300,000s, ranging from approximately 720 to 1,709 square feet, with varied floor plans and a broad assortment of finish selections. Optima Kierland represents the best of two worlds in the Valley: the vibrant, metropolitan setting of North Scottsdale amid the year-round natural beauty of the Sonoran Desert and its unlimited potential for outdoor recreation. Located on 9.5 acres at Scottsdale Road and Kierland Boulevard, residents enjoy an abundance of dining, entertainment and shopping options with Kierland Commons, Scottsdale Quarter and the Weston Kierland golf course and resort steps away. Scenic desert trails with rich wildlife and native vegetation are located minutes from the tower. 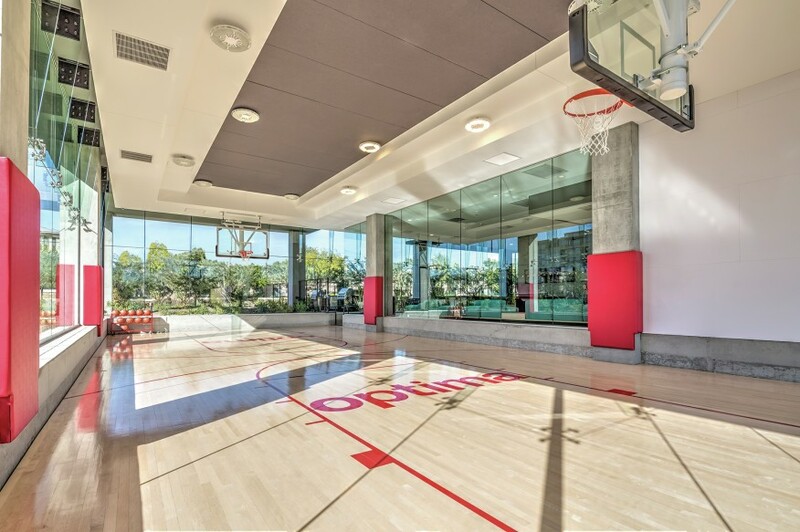 An emphasis on health, wellness and well-being is evident in the array of incomparable amenities unique to Optima Kierland. Residents can take advantage of on-site sports and exercise facilities that include a fully equipped, approximately 16,000-square-foot indoor/outdoor fitness center, golf simulator and indoor basketball/squash courts. Stunning 360-degree rooftop mountain and cityscape views await residents and guests who make their way up to the Sky Deck—Optima Kierland’s crowning, exclusive destination spot—which features a heated lap pool, along with steam and sauna rooms. Spacious common areas offer venues for relaxed social gatherings around sundecks, barbecues, fire pits and a covered outdoor bar. From floor-to-ceiling windows, Italian or Bulthaup German cabinetry, select granite or polished quartz counter tops, designer flooring and carpeting, KOHLER® fixtures and gourmet Bosch stainless steel appliances with gas stovetops, superior amenities let residents make their own distinctive interior design statements. Lush gardens and water features on the lower levels merge with vertical landscaping to integrate the modern architecture of the 7120 tower with the natural splendor of the surrounding desert. Along with a superior on-site staff, Optima Kierland also provides 24/7 virtual concierge services. “The Optima Kierland team is ready to welcome, assist and guide residents, helping them to make the most of this unprecedented opportunity to experience the Optima lifestyle with unlimited potential,” says Hovey. Floor plans and interior finishes can be viewed at the Optima Kierland Sales Gallery, 15450 N. Scottsdale Rd. in Scottsdale, open weekdays from 9 a.m. to 6 p.m., Saturdays from 10 a.m. to 5 p.m. and Sundays from 10 a.m. to 5 p.m. Polaris Pacific is managing sales and marketing for Optima Kierland. For an appointment, call 480-418-2630 or visit optima-kierland.com/7120-east-kierland.